This Saturday is National Kiss a Ginger Day! The L-Tron family is lucky enough to have three redheads on our team. 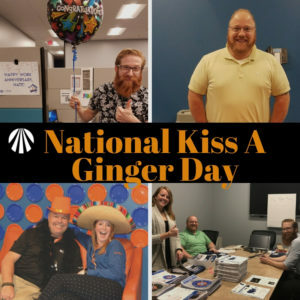 So, what is National Kiss a Ginger Day, you ask? Kiss a Ginger Day falls annually on January 12th. The day is meant to show love and appreciation for the redheaded individuals in your life. The “holiday” originated in 2009, originally created as a way to combat the bullying and prejudice that redheads sometimes encounter. Most Redheads sun-burn more easily. Bees are more likely to sting redheads than blondes or brunettes. Red hair grays out at a slower rate than other hair colors. Redheads are more sensitive to pain. Only 2% of the world’s population has red-hair, so you should count yourself lucky to know even one ginger (holidayscalendar.com). Here at L-Tron, we have three! Jeremy is our Industrial Automation & Advantech expert. 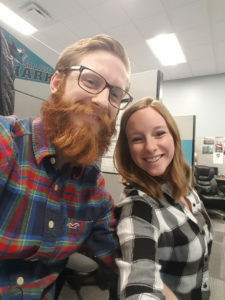 He is highly trained and brings over 10 years of experience to the L-Tron “squad.” Jeremy holds Advantech certifications in: Industrial Platform, Industrial Operator Panel, Automation Controller & I/O, Industrial Communication and Automation Software. In his free time, Jeremy loves to spend time with his nieces and nephews. He is an avid fisherman, and takes extensive fishing trips throughout North America and Canada. He is excited to head to Alaska with his father this coming summer. Alex is our OSCR360 Account Manager. 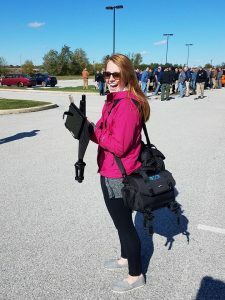 This year, she has been traveling the country introducing Police Departments and government agencies to OSCR. Together, they have visited over 200+ agencies. In her free time, Alex enjoys baking, yoga, and taking some well-deserved me time. She also regularly volunteers her time with Relay for Life and the American Cancer Society. You can read all about Alex & OSCR’s travels in her blog series here. Nate is a member of the L-Tron sales team (squad). When he’s not helping customers – either with their web orders or over the phone, he an part-time member of the L-Tron M-team. Nate helps to produce, edit, direct, and sometimes even stars in many of our videos. He was our ‘magnetic’ man and modeled the capabilities of our Magnetic Mount for the 4910LR. In his free time, Nate enjoys live music and good beers. He also regularly gives back to the community, and was auctioned off in last year’s Gilda’s Guys Bachelor Auction. Questions? Interested in learning more about our company culture?